Read about the benefits of having a Great Place in America in your community, and how planners can leverage it for years to come. Using a CommunityViz scenario tool, planners and community members explored ways of becoming more hazard-resilient and engaging the community in decisions. Planners Call on Congress: "Fund Community Programs"
At Planners' Day on Capitol Hill 2017, planning advocates urged their representatives to support programs that benefit communities. This NPC17 session provided a thorough review of the role of marketing in the private sector, and highlighted key considerations from the public sector. APA calls on planners to reach out to their representatives in a different way during each day of National Community Development Week, April 17–21, 2017. Whether working for a government agency or a private company, planners can employ techniques like coalition building and crafting a cohesive and clear message to explain the value of planning. Boston Mayor Martin J. Walsh released a suggested reading list focused on urbanism in order to engage locals in the citywide planning process. Two exemplary Plan4Health projects in California and Washington have found the key to building healthy communities: civic engagement. Jessica Garrow, AICP, community development director for the City of Aspen, got to where she is today through hard work and perseverance. She recounts her planning journey and the lessons she's learned along the way. The time has never been better for planners to move towards a more creative, inclusive, and enjoyable public outreach approach beyond the public meeting. A detailed recap of the health and aging, FAST Act, and land use law sessions at APA's 2016 Policy and Advocacy Conference. 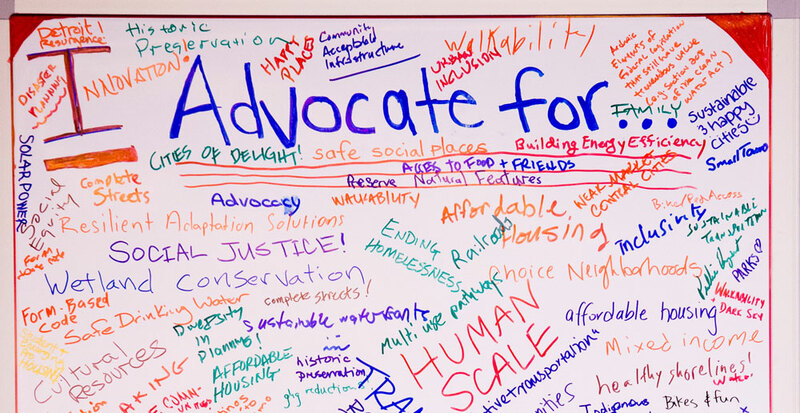 Join APA’s Planners’ Advocacy Network — an APA initiative to engage planners in federal grassroots advocacy. Throughout the Iowa caucus season, planners have the ability to advocate for issues important to their profession. Election Year Advocacy? YES, You Can! Eelection years hold some unique opportunities to advance a pro-planning agenda. Even if you aren’t endorsing candidates, elections open up your advocacy options. U.S. Rep. Earl Blumenauer issues a video invitation for planners to become advocates.